At Total Habitat, we are all about nature: We create spaces and experiences that look natural, that use natural materials, or that mimic Nature's own processes. One of our primary missions at Total Habitat is to inspire the next generation of nature lovers by creating authentically natural experiences that educate ​and challenge. Since 1996, we have worked with homeowners, contractors, architects, engineers, and zoos around the globe to design and build Natural Swimming Pool/Ponds, visitor experiences, climbing walls and boulders, natural water features, animal habitats and so much more! Contact us today to get started with your project! Total Habitat was founded by Mick Hilleary, former Curator of Exhibits at the Sedgwick County Zoo in Wichita, Kansas. Over the years, Total Habitat has partnered with zoos, architects, organizations, and homeowners all over the world to create products, spaces, and experiences worthy of nature herself. Click Here to Meet the Total Habitat Team! 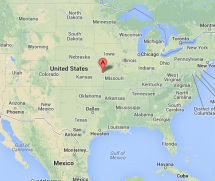 Though we work all over the world, Total Habitat is based out of the Kansas City area. To get in touch with us, visit our Contact Us page. For questions about our Natural Swimming Pool/Ponds (NSP's), check out our FAQ's page. To order zoo products, visit our Zoo Products page or call Mick at (316)644-5848.